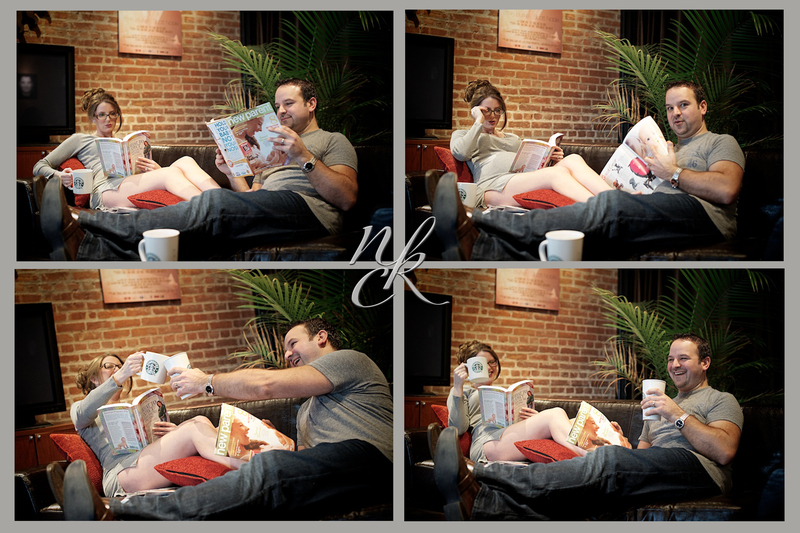 Courtney and Greg are repeat customers of ours, and when Courtney found out they were pregnant, she couldn’t wait to have maternity photos taken. These two are some of our favorite people, and you can just tell how much fun they have together. This was such a fun shoot for me, because not only is Courtney beautiful and a natural in front of the camera, they both know how to have fun and bring a little of themselves into every situation they are in. 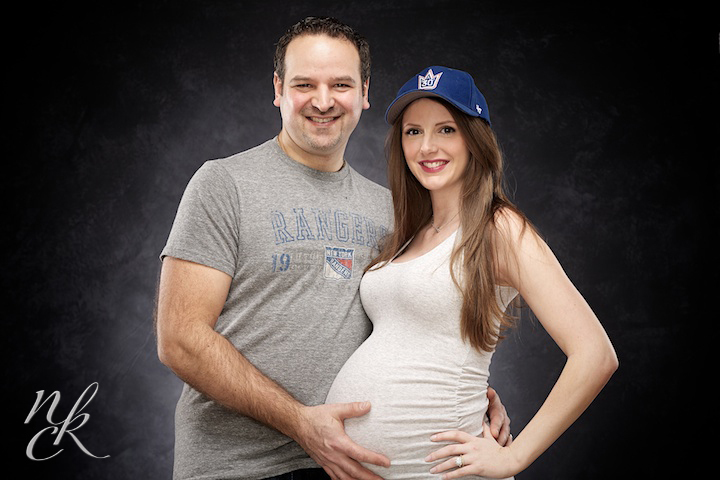 Since both Courtney and Greg (and pretty much both of their families) are avid NY Rangers fans, Baby K is already outfitted with ice hockey skates, and his/her own little NYR onesie. The last photo is an idea mommy-to-be came up with and thought would be funny, and it turned out great. Even when they are pretending to be lounging at home, drinking coffee and reading baby books, they still can’t help but joke around and laugh together. I can’t wait to meet the newest addition to the family! !